A long-time attorney, civil-liberties supporter, and civic leader, died on Tuesday, September 27, 2016 at Fairfax Hospital from complications arising from a heart procedure. Born in Pittsburgh, PA, on July 9, 1929, he graduated from Yale University in 1951 and from Harvard Law School in 1954, where he served as an editor of the Harvard Law Review. After three years in the United States Army (including the Judge Advocates Corp.), he joined the Washington, DC law firm of Ivins, Phillips & Barker, where he practiced tax law until his death. He also taught at Harvard Law School and at the Georgetown University Law Center. 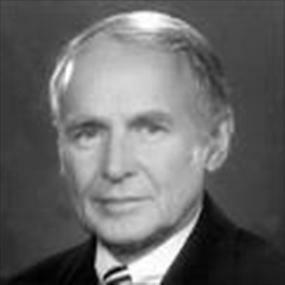 From 1981 until his death, Stew was a member of the board of directors of the American Civil Liberties Union of the National Capital Area, serving as its president from 1986 to 1988. He also served for 25 years as a member of the board of directors of the ACLU of Virginia and as a vice-president from 2005 until his death. In addition, he served for over ten years on the national board of directors of the American Civil Liberties Union. Starting in the 1950's, Stew was actively involved in civic activities. Most recently, he served as a member of the Alexandria Planning Commission from 1995 until 2016, serving as its vice-chair since 2008. He also was a long-serving trustee of the Historic Alexandria Foundation and for decades was a member of the Alexandria Democratic Committee. He is survived by his wife of 38 years Loti; sons, Chris (Leyla Vural) and Tim (Ellen Stofan); step-children Rhett and Eliza Savage (Chris Saltonstall), and six grandchildren, Bharti and Corey Vural, Ryan, Emily, and Sarah Dunn and Sam Savage. He is predeceased by a third son, Tony; first wife, Martha; parents, H. Stewart and Marie Dunn; and siblings Thomas Dunn, Elizabeth Smith, James Dunn and John Dunn. A memorial service is scheduled for Saturday, November 5 at 2 p.m., at St. Paul's Episcopal Church, 228 South Pitt Street in Old Town Alexandria. For those who wish, donations can be made to the ACLU (aclu.org) or to the Alexandria Scholarship Foundation (alexscholarshipfund.org). Please share your memories of H. (Henry).